Lima is a city with a history so rich it predates the colonial presence in Peru with civilizations dating back a millennia. It is home to pre-Columbian temples, stately museums, solemn religious monuments from the 18th century, and edgy art galleries. Visitors will find a thriving nightlife of pulsing tropical beats, incredible beaches, and an energetic boardwalk. Founded in 1926 by pioneer of Peruvian archeology, Rafael Larco Hoyle, The Larco Museum features a captivating collection of pre-Columbian art, roughly 45,000 pieces. Surrounded by gorgeous gardens, the museum is housed in a magnificent, 18th century, viceregal-era mansion. The museum explores over 5,000 years of ancient Peruvian history through their intriguing permanent exhibition which provides an in-depth look at the world as viewed by Andeans, and helps visitors understand the development of pre-Columbian civilizations. This is done through an extraordinary collection of artifacts including their visible storage displays with contain 30,000 cataloged ancient objects. 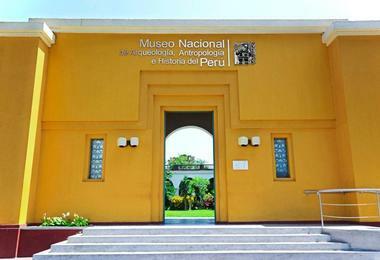 A one-hour guided tour, Masterpieces of Ancient Peru, is available for visitors. 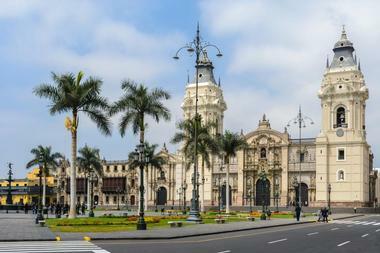 Located in the center of Lima, The Government Palace is the home of the country’s sitting president. It also hosts government meetings. 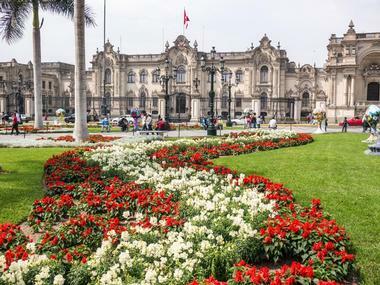 Built in the early 16th century by Francisco Pizarro, a Spanish conquistador considered the founder of the city, it was the first official palace of Lima after the Spanish took rule. Taking up an entire block, this historic, Neo-Plateresque style Palace offers free guided tours of the gardens, inner courtyards, grand halls, and colonial-style ceremonial rooms. 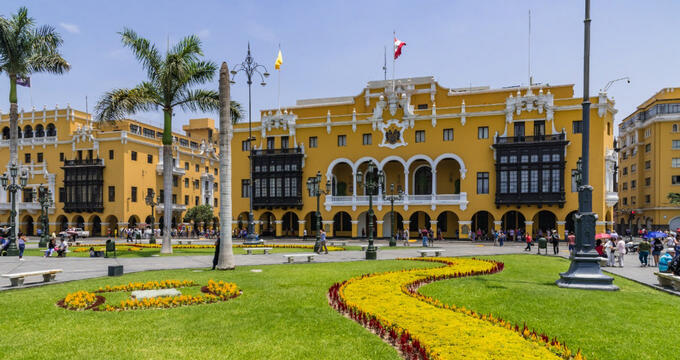 This includes the Presidential Office, Agreements Rooms, and Ministers’ Council Room, each named after notable Peruvian figures, as well as the Golden Living Room with a magnificent collection of paintings. Basilica y Convento de San Francisco de Lima is a vibrant-yellow Franciscan church and monastery known for its Spanish Baroque architecture, its bone-lined catacombs, and an expansive library. The latter contains a remarkable 25,000 antique texts, a few which actually predate the conquest, notable works include an Antwerp printed Holy Bible from between 1571-1572 and the first Spanish dictionary written. Its most iconic feature, the catacombs, is a collection of underground vaults residing beneath the churches chapels. They are said to contain the remains of approximately 70,000 people. A 30-minute tour of the Basilica, library, and catacombs is included with the price of admission. Nestled in the heart of Miraflores, an affluent, oceanfront district of Lima, Huaca Puccllana is a former settlement turned historic complex with a clay pyramid and an ancient adobe. It was built around 500 CE by a Pre-Incan indigenous seaside civilization that remained from approximately 100 CE to 650 CE. Members of the Lima culture were regarded by their contemporaries as masters of irrigation, which allowed them to develop settlements across a substantial amount of land. Today, the complex features a restaurant overlooking the ruins, a space for workshops, a souvenir shop, and a museum. The latter exhibits textiles, ceramics, artifacts, and tools that have been discovered on the site throughout the years. Housed in the former building of the National Senate, the Museum of Inquisition and Congress was opened in July of 1968, it is considered one of the most important museums in Peru. Located in the capital city, Lima, the building is a national monument with a rich history dating back to the city’s roots. It’s most notably known for its dungeons which during the Spanish Inquisition were used to torture prisoners. Today, the macabre museum explores the role the building played during the Spanish Inquisition, its history, and its role in developing the Peruvian Congress. Exhibitions include the Hearing Room, Chamber of Secrets, Room of Processes, and Room of the Inquisition. They feature recreations using eerily realistic wax sculptures. Opened in 1929, Park of the Reserve was built to honor reservists who fought to defend Lima in 1881 during the Pacific War, specifically those who fought in the Battle of Miraflores and in the Battle of San Juan and Chorrillos. Influenced by European style, the nearly 20-acre park features a large green space with neo-classical style architecture designed by renowned French architect, Claude Sahut. It also includes several prominent sculptures created by famous Peruvian artists. In 2007, the park added the Magic Water Circuit – 13 cybernetic fountains supported by cutting-edge technology where water, sound, laser light, and music are mixed to create incredible shows. 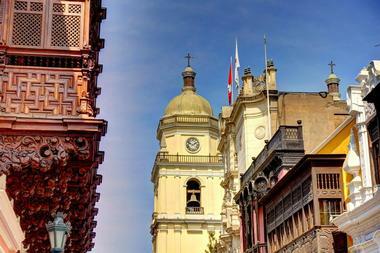 Museo de la Nacion is one of two important museums of Peruvian history in the city of Lima. 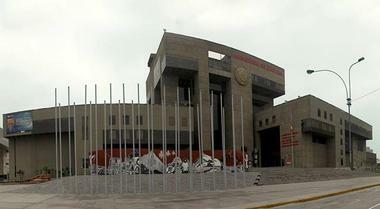 The other is the much smaller, Peruvian National Museum of Archaeology, Anthropology, and History. Museo de la Nacion is home to thousands of historic objects spanning the entire duration of human occupation in the country. This includes an extraordinary collection of Wari, Moche, and Nazca ceramics. It is also known for its replications of several legendary ancient Andean artifacts, such as the iconic Revolt of the Objects and the Lanzon from Chavin de Huantar – a reproduction of the burial chamber of El Senor de Sipan, or the Lord of Sipan. Opened on St. Valentine’s Day in 1993, Parque del Amor, or Park of Love, is one of the most magnificent and popular parks in the city of Lima. A common meeting spot for couples, the park is situated on a cliffside facing the Pacific Ocean and offering extraordinary vistas of the coast. There are several gorgeous mosaic benches for lounging, as well as several beautiful paintings and sculptures scattered throughout the area. 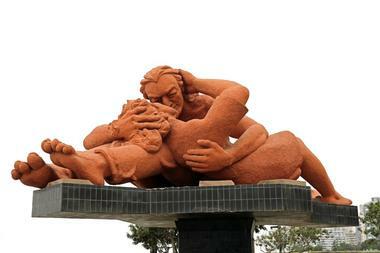 This includes a large sculpture created by famous sculptor, Victor Delfin, which depicts him and his wife kissing. According to local stories, the mayor of the district held an annual competition for couples to see who could maintain the longest kiss, this sculpture represents that tradition. Founded in 1826, the National Museum of Archeology, Anthropology, and History is the oldest and largest public museum in Peru. It is home to a large-scale archeological collection containing over 100,000 pieces from pre-Inca civilizations including, Chavin, Chimu, Moche, Nazca, and Paracas. Items include textiles, tools, ceramics, and ruins that were created over 3,000 years ago. Inca artifacts from Republican and Colonial periods are also included. Important exhibitions include the Tello Obelisk and the original Raymondi Stella from the Chavin culture, and a comprehensive collection of textiles from the pre-Columbian age to the Inca civilization. The National Museum also features a significant collection of metals showcasing metallurgic development from the Formative age until the Inca Empire. Museum of the Central Reserve Bank is home to an outstanding pre-Columbian exhibition, a Folk art exhibition, the incredible Hugo Cohen Gold collection, and a gorgeous art gallery. The latter features artworks by renowned Peruvian painters who represent all styles and schools including early Republican masters like Pancho Fierro and Gil de Castro. A focal point of the museum, the pre-Columbian exhibition features 4,000 immaculately-preserved artifacts including gold, textiles, wooden objects, and pottery from eight ancient civilizations - Inca, Chancay, Nazca, Chavin, Chimu, Moche, Vicus, and Lambayeque. Visitors can also view over 500 silver and gold artworks from the legendary Hugo Cohen collection, and roughly 2,000 artworks from the Folk art collection of Mrs. Nadia Carnero. Housed in the beautifully restored 17th century mansion known as Tribunal Mayor de Cuentas the Numismatic Museum of Peru was opened in March, 2004. It displays a one-of-a-kind collection of primarily banknotes, coins, and medals, from the origin of Peruvian currency to the establishment of the House of Money, or Casa de la Moneda, as it’s referred to in Spanish. The museum’s five exhibitions are chronologically structured providing a visual timeline of the history of Peruvian money. They are Sala 1 – The Origins, Sala 2 – Republican Times, Sala 3 – National Bank of Peru and Sol de Oro, Sala 4 – Peruvian Banknotes, and Sala 5 – Peruvian Medals. The Parque de las Leyendas is a traditional zoo in the city of Lima located in the Archaeological Complex of Maranga. The zoo predominately features flora and fauna native to Peru and is divided into the three primary climatic regions of the country – jungle, sierra highlands, and coastal. Crocodiles, snakes, toucans, coatis, parrots, jaguars, and monkeys can be found in the jungle. In the highlands animals like pumas, condors, llamas, vicunas, owls, and guanacos are featured, and the coast is represented by penguins, sea lions, turtles, cormorants, and pelicans. In 2010, a new exhibit, Felina, opened. It is home to a variety of big cats including tigers and lions. Housed in the historic Baroque Cathedral of Lima, the magnificent Religious Art Museum displays an impressive collection of historical artifacts including furniture, sculptures, sacred vessels, paintings, and jewelry. It also showcases a beautiful selection of antique religious robes and vestments of previous archbishops. Guided tours of the museum include an exploration of the magnificent Cathedral itself, which is an excellent example of baroque and neoclassical architecture. 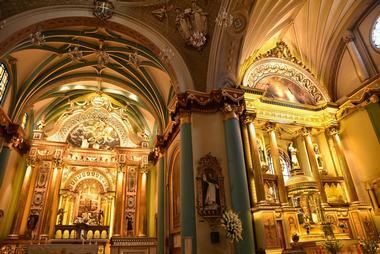 The tour provides visitors with insight into the Catholic Church and the important role it played during Colonial Peru. Museum highlights include the Sala Capitular, the old Sacristy, and the Chapel of Saint Toribio de Mogrovejo. 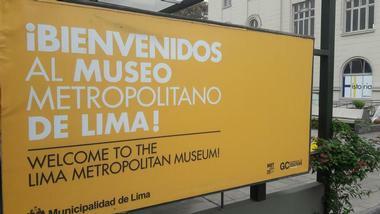 The first entirely virtual museum in Peru, the Metropolitan Museum of Lima, is the high-tech treasure of Lima’s museum scene. Utilizing 2D, 3D, and 4D movies as well as projections, holograms, and other technical finesses, the museum guides visitors through 10,000 years of history, and even offers a glimpse into the future of Lima in 2050. Housed in a historic 1925 structure, the museum has no exhibits, no showcases, and no objects. Instead it uses technology to create a virtual experience with more than 20 fascinating halls. Exhibits include the pre-Hispanic Era, the Colonial Era, Peru’s Independence, Modern Age, the 20th century, and the 21st century, among others. The Lima Art Museum (MALI) is home to the largest collection of Peruvian art spanning 3,000 years from the pre-Columbian era through today. The pre-Columbian collection provides visitors with an in-depth overview of how societies in the Central Andes formed and their cultural development from 1200 BC until the Spaniards arrived in 1532 AD. 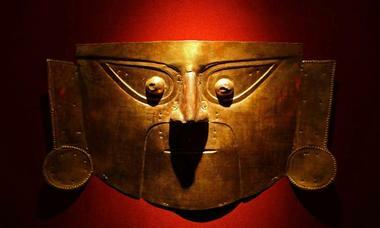 Exhibits in this section are organized by the various cultures that emerged before the defeat of the Inca Empire. 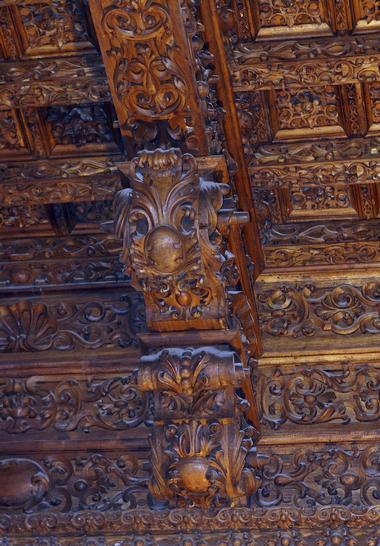 The Colonial Period displays works from 1532 to 1821, including notable paintings like School Cusquena, as well as a collection of furniture, carvings, and silverware. MALI also features an exhibition devoted to the Republican Period (1821-1937) and a Contemporary Art exhibition featuring works from 1842 to today. 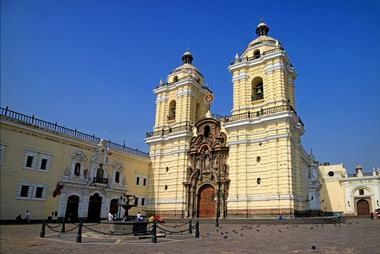 Cathedral Basilica of Lima, or simply Lima Cathedral, is situated in the Plaza Mayor in downtown Lima. Originally constructed in 1535, this Roman Catholic cathedral has undergone several renovations throughout the years. It has retained much of its Spanish Colonial style, but also picked up touches of neoclassical, gothic, and baroque styles throughout the years. It is one of the most iconic buildings in the city and home to the greatest museum of religious art, featuring a wealth of sculptures, paintings, vestments, and other religious artifacts. Additionally, the cathedral has 14 side chapels, one of which houses the tomb of Francisco Pizarro – a Spanish conquistador, a basement crypt, and a small exhibit of 18th and 19th-century giant hymn books. 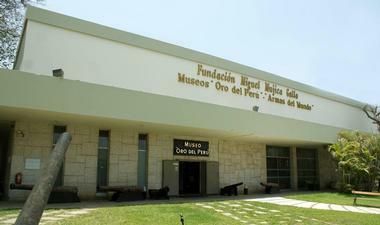 Gold Museum of Peru and Arms of the World was established in 1968 by Miguel Gallo. It features his private collection of pre-Hispanic gold and Paracas textiles and ceramics, as well as several important and historic military objects. There are over 25,000 artifacts contained between the two exhibits. The Gold of Peru museum features the most significant pieces of gilded copper, silver, and gold from various pre-Columbian Peruvian cultures including Chimu, Lambayeque, Nazca, Moche, Inca, Huari, Vicus, and Frias cultures. In the Arms of the World exhibit, weapons from all over the world are displayed, including handcrafted swords, handguns, culverins, shotguns, small cannons, crossbows, and 14th-century, Italian pistols. Declared a National Monument in December of 1959, El Olivar is often considered San Isidro’s most invaluable treasure. This 57-acre colonial plantation is home to nearly 1,700 olive trees, and several present-day attractions showcasing the park’s rich colonial and republican history. The park’s top sights include a legendary library, a charming art gallery, several gorgeous 20th -century mansions, and the lagoon of El Olivar, which draws in over 30 magnificent bird species. Several placards can be found all over the park identifying the different species. Visitors are more than welcome to feed the birds; multiple kiosks throughout the park provide birdseed. Free guided tours of the park are offered by the San Isidro municipality by appointment only. Los Pantanos de Villa is a wildlife refuge located in the Chorrillos District of Lima, Peru. These unique and protected wetlands span a little over 650 acres consisting of a series of marshes and brackish water lagoons. 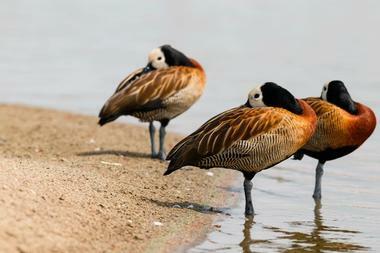 The primary focus of the refuge is to protect over 170 species of resident and migratory birds including the American oystercatcher, white-cheeked pintail, Andean coot, Peruvian thick-knee, and the black vulture. Native plant and fish species are also protected including southern cattail, currant tomatoes, false waterpepper, saltworts, floating primrose-willow, and flathead grey mullet fish. Visitors can choose from one of three 45-minute to one-hour walking and boating tours. Bicycle and boat rentals are also available. 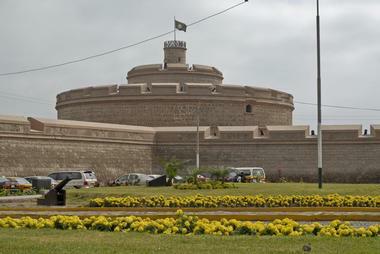 Constructed in the 18th century, Real Felipe Fortress was built to defend the city of Lima and Peru’s main port – the port of Callao – from corsairs and pirates. It’s primarily known for the pivotal role it played in the Battle of Callao during the Chincha Islands War of 1866, when Spain attempted to re-conquer Peru. This battle ended the war making Dos de Mayo (May 2nd in English) a revered Peruvian date. 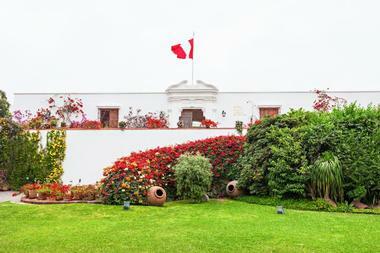 Today, the fortress serves as a history and military museum managed by the Peruvian army, they offer two-hour guided tours of the complex and museums in Spanish and English. Exhibits feature historic Peruvian military textiles, weaponry including 19th-century cannons and WWII tanks, and other military paraphernalia. Built in 1935, Palacio de Torre Tagle is an impressive architectural example of the Viceroyalty of Peru. 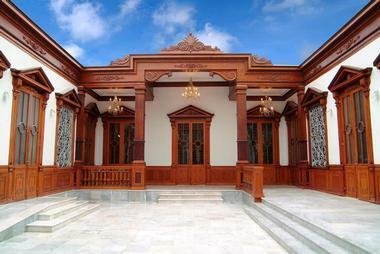 It features a baroque Andalusian style with stone-carved arches, porticos, and balconies made of Moorish art wood. It was created for Spain native, Jose Bernardo de Tagle Bracho Perez de la Riva, the man selected as Marquis of Torre Tagle by the King of Spain, Philip V. It has served as the headquarters for the Ministry of Foreign Affairs since 1918 and was restored from 1954 to 1956 by Andres Boyer, a notable Spanish architect. 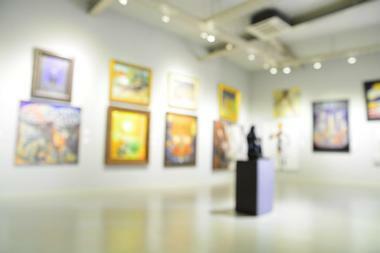 It is also home to one of the most significant art collections in the city, provided by Manuel Ortiz de Zevallos. 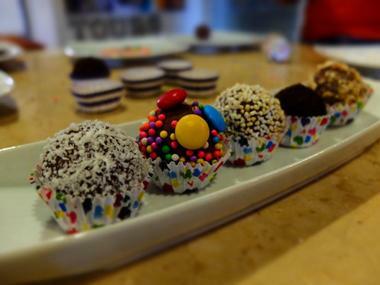 Open since 2012, La Casa del Chocolate is situated on Berlin Street in the Miraflores District in Lima, Peru. The museum is dedicated to the history of cacao and chocolate from the Maya, its arrival in Peru, and its place in the city today. It also provides insight into cacao trees, chocolate plantations, how chocolate is prepared, and a variety of random fun facts about this sweet treat. A museum highlight includes a visit to the Artisanal Factory where visitors can watch how different types of chocolate and chocolate-centric products are made including chocolate liqueur, cacao tea, chocolate bars, pure cocoa paste, and pralines. Guided tours are offered in English, Spanish, German, and Portuguese. Housed in a recently restored historic 17th-century mansion known as Casa Belen, The Museum Andres del Castillo was opened in 2008. It is home to the del Castillo family’s private collection, which has been divided into four categories – Casa Belen, Chancay ceramics, Peruvian textiles, and a large collection of minerals including crystalized Peruvian pieces, cabinet specimens, and micro minerals. The Peruvian textiles exhibit showcases goods from different ancient cultures as well as pre-Hispanic tools used for weaving and yarning. In the Chancay exhibit several interesting artifacts including anthropomorphic sculptures are displayed. Visitors will learn about the history, architecture, and restoration of the Republican-style mansion, Casa Belen in the exhibit with the same name. 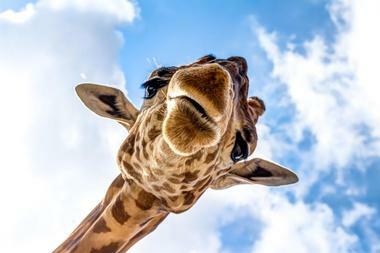 Pargue Zoologico Huachipa is a gorgeous natural refuge centered on providing care for various animal and plant life. The culture and entertainment complex features beautiful gardens, picturesque parks, lagoons, recreational games, libraries, restaurants, and animal exhibitions. There are over one thousand animals from over 200 various species including the Andean puma, Spectacled Bear, Sea wolf, Huge Tapir, Vicuna, South American Camelids, and several primates such as the White Machin. The Parque also features the Bird Forest, home to various Peruvian bird species and more than 600 species of native, endangered, and exotic plants. One of their newer attractions, Sea World, is a fan favorite with three exhibition areas showcasing penguins, sea lions, otters, and pelicans. 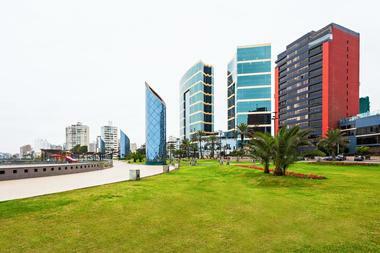 Named after Alfredo Salazar, an iconic Peruvian aviator, Parque Salazar is a community park located along the cliffside overlooking the Pacific Ocean in the Miraflores District of Lima. On the clearest of days, visitors can see the entire Bay of Lima from Callao and its islands in the north to Barranco and Chorrillos in the south. Even more extraordinary than the scenic vistas is the legendary Centro Comercial Larcomar – a contemporary entertainment and shopping center built right into the cliffs of the park. The lavish mall features several exquisite clothing, accessory, and souvenir shops, as well as various restaurants, nightclubs, discotheques, a bowling alley, an arcade, a performance theater, and a large movie theatre.